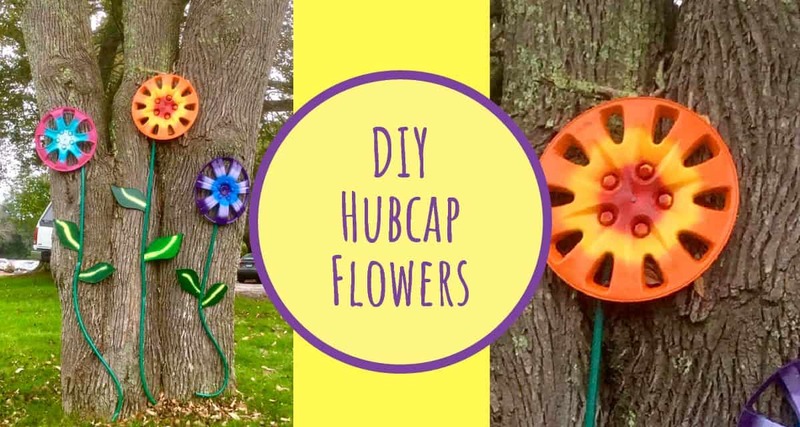 Make your own DIY stunning hubcap outdoor flowers to brighten any outdoor space. 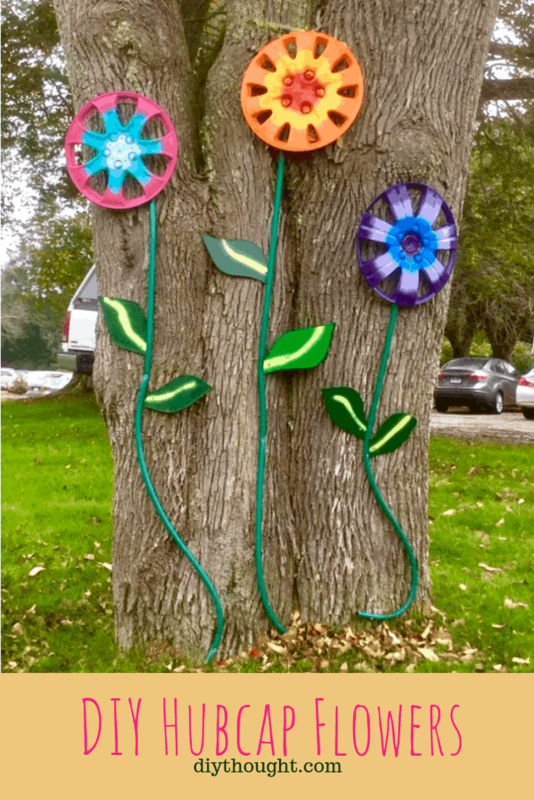 This easy DIY is a great way to express your creativity and will certainly add that wow factor to your garden! 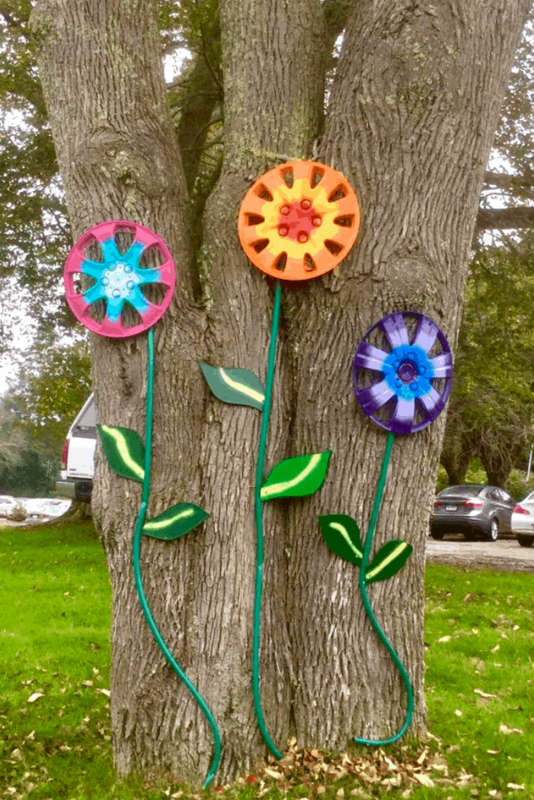 Upcycler Linda Barton discovered these hubcap outdoor flowers in Webster, MA, and because they are SO stunning we just had to share them! First things first the hubcaps need to be clean. Give them a good scrub to make sure they are spotless then dry them. Apply a coat of primer, there is no need to get carried away here, just enough to give the hubcaps enough support to hold the paint. If you don’t have the primer then give them a bit of a sand. Spray paint the hubcaps as desired. Alternatively, use other weather resistant paint, using this paint you can paint intricate details. A hubcap flower painted in mini flowers perhaps! Clean and cut the hose to the desired length. 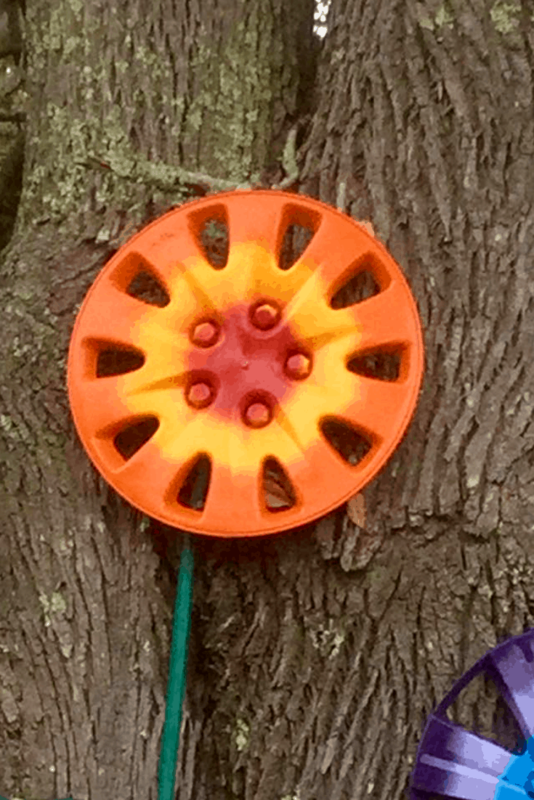 Using a strong adhesive or screw to attach the hose to the dry hubcap. Use the same prep and painting technique for the leaves. Cut the leave shape from plastic, an old plastic container will work well. Attach the leaves onto the hose using the adhesive or staple in place. Alternatively, you can use plywood for the leaves and screw them onto the hose. Linda suggests cutting the leaves from curvy parts of a plastic bottle for dimension with a narrow tab at the base and to slit the hose and insert leaves. 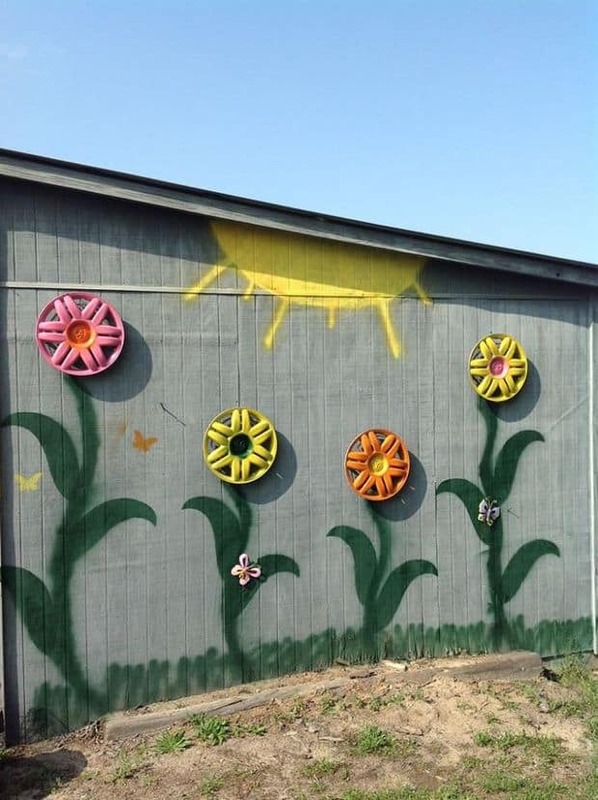 Get creative, plastic strapping would work well as leaves or attach the flowers to a fence and paint the stalk and leaves directly to the fence! Add some bling to the flowers by gluing on glass stones. The flowers were screwed onto the tree but we think they would look equally as good on a fence! A great example of painted stems and leaves. Source found here. 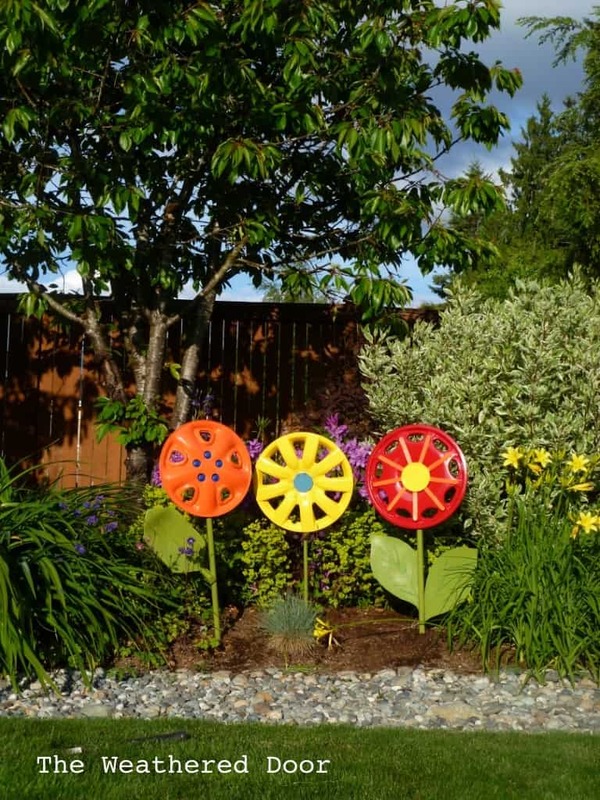 Aren’t these freestanding hubcap flowers beautiful! Link to tutorial. 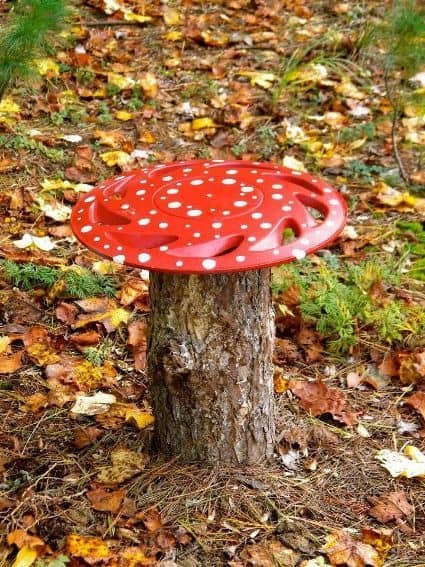 Skip the flowers and make a toadstool! Source found here.